Neighbours is adding to its list of regulars with the introduction of two new TWINS. The Tanaka brothers may share the same haircut but that's about it - as David and Leo couldn't be more different. David - played by Sydney actor Takaya Honda - is a medical doctor with a social conscience. So naturally his brother Leo - New Zealand-born actor Tim Kano - is an opportunist in both business and women. However, they're said to share a strong bond, and Neighbours executive producer Jason Herbison can't wait. "I've been excited about the Tanaka twins from when we first plotted their story six months ago, and to see them come to life by Takaya and Tim, is very thrilling and I'm delighted to have them join the Neighbours family," he said. Honda, 28, is best known for his roles in Australian TV series A gURLs wURLd and The Family Law, and said that he felt "privileged to... learn from such prominent and longstanding Australian talent". Kano, 29, has starred in interactive drama Reservoir Hill, as well as the movie Holding the Man. He added: "I'm loving the role of Leo, who is such a great character to play. Despite the superficial facade, he has a good heart, is fun and cheeky with a genuine love and respect for his brother." The Tanaka twins debut on Neighbours from September 21. Neighbours fans will be introduced to twin brothers David and Leo Tanaka next week- but there's a turbulent time ahead for one of them as he struggles with his sexuality. David - billed as "a medical doctor with a social conscience" - will feel pressured and confused when it comes to romance, choosing to focus on his career instead. Takaya Honda, who plays him, said: "David is really struggling to come to terms with his sexuality - he feels a lot of pressure from different people in terms of who or what he should be. "In reality, he doesn't quite understand who he is or what he is attracted to. He thinks he's meant to fancy girls, but it's never really worked out with them in the past. "So instead he is focusing on being the best doctor he can be, and leaving the romantic stuff until it all makes sense to him." However, there is a more mysterious reason for David and Leo's arrival, as they are actually looking for a long-lost family member. "I can't say more! The brothers have quite an interesting and messed-up past that they are trying to get to the bottom of." Neighbours will air the Tanuka twins' first scenes on Wednesday, September 21. Last edited by pyrocanthus; 14-09-2016 at 19:17. 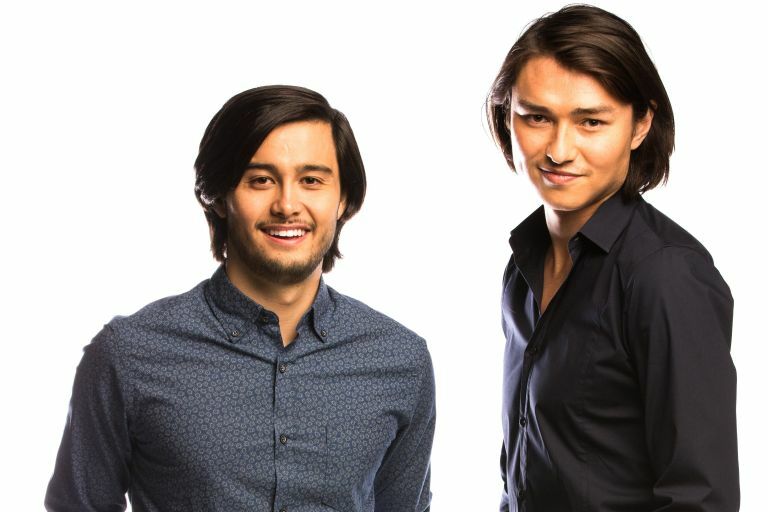 Neighbours is introducing new twin brothers Leo and David Tanaka to the regular cast this week - and here's your chance to get to know them a LOT better. The show has given the new arrivals their very own spinoff webisodes, which see them taking a road trip as they make their way to Erinsborough. This gives us a first look at their brotherly dynamic before we get to see it in the main show, where a huge storyline is lined up for them. There are plenty of early clues on what to expect from them, too. Leo seems very much like the shameless opportunist and womaniser he's been billed as - just wait to see how he treats his latest love interest Milly! Doctor David seems to have much more of a conscience, but it's clear that he's less confident and a whole lot more insecure than his charming brother. Three webisodes have been uploaded, which you can watch right here on this page before all the Tanaka drama kicks off in earnest on the main show. Neighbours announced the casting of Takaya Honda and Tim Kano as David and Leo last month. The twins are heading to Ramsay Street to help solve a family mystery - we're intrigued! Neighbours' executive producer Jason Herbison recently commented: "I've been excited about the Tanaka twins from when we first plotted their story six months ago, and to see them come to life by Takaya and Tim, is very thrilling and I'm delighted to have them join the Neighbours family." Good grief - they're terrible actors. So, the producers probably thought again: "how can we appear progressive with Neighbours? Let's cast two Asian actors. And one of them can be gay, since our other tokenistic gay, ethnic character has gone. Who gives a hoots whether they can act or not." Are the connected to Paige's doctor friend? He's one of the Tanaka brothers. Last edited by Dazzle; 29-09-2016 at 15:59. I wouldn't be surprised if they bring in long lost dad at some point. Last edited by kaz21; 29-09-2016 at 19:25.